There is a sleeper food trend afoot; one that is more popular than probiotics, collagen and gluten-free. Any guesses? Introducing: cannabidiol, or, CBD, a non-psychoactive chemical compound found within hemp. Yes, yes, hemp, as in cannabis. There are over 100 cannabinoids — or, chemical compounds — in the cannabis plant, and you’re likely familiar with the most famous of them: THC. But unlike THC, CBD won’t get you high. “Hemp plants have a propensity to produce primarily CBD, whereas marijuana has a propensity to produce THC,” explains Russell Stebbins, founder of the industrial hemp extract company OLEO. In 2017, U.S. hemp-derived CBD sales totaled $190-million, up from $129-million in 2016. According to Hemp Business Journal, these numbers will reach $450-million in 2020 and surpass $645-million by 2022. CBD made its debut on the US market in oil form, stocking up the supplement shelves of natural food stores. Then, it was picked up by the beauty industry and now appears in items such as eye serum, face cream, body oil and lip balm, claiming to soothe dry skin, relieve puffiness, and treat acne, among other fixes. 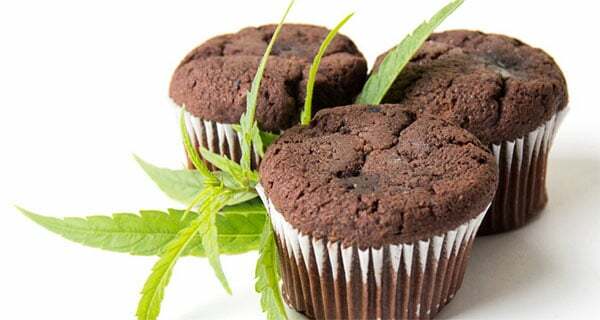 This year, CBD is entering the food industry in full force. 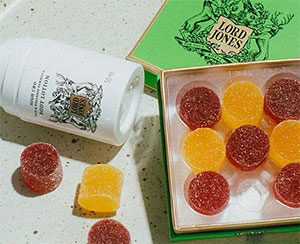 If you happen to stay at the Standard Hotel in Los Angeles, New York, or Miami Beach, your mini bar will be stocked with CBD gummies made by LA cannabis company, Lord Jones. The compound is also being added to chocolate bars like Kiva — infused with 100 milligrams each of CBD and THC — and Leif Goods‘ fair trade peanut butter and jelly chocolate CBD bar. 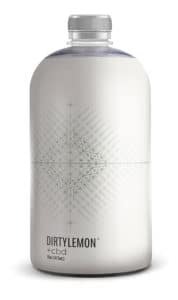 Recently, functional beverage company, Dirty Lemon, released +cbd, a shelf-stable drink containing 20 milligrams of CBD mixed with pure hemp oil and a wellness punch of pineapple, blood orange, and tangerine juices, among other ingredients. “The product has already been incredibly popular and is already waitlisted following a pre-order rush from loyal fans but can be purchased again from today,” says a representative of the brand. A CBD takeover of the beer aisle is also anticipated. Recently, Coalition Brewing Co announced the release of the first commercially produced annabidiol infused beer in Oregon, titled “Two Flowers” — a nod to hops and cannabis buds. “The bitter grassiness augments the hop bitterness, while the citrusy terpenes in the CBD mirror the aromatics and hop flavours,” the brewery notes of the novel product. Quickly, CBD is gaining diversified ground. “We sell CBD to one manufacturer that’s in distribution to all of the Equinox gyms now,” Stillwater Brands CEO Justin Singer tells Food Dive. OLEO has seen the same broad enthusiasm for CBD. “We have made tablets, gummies, granola bars, flavoured powders, gums, taffies, spray, protein powders, macaroni and cheese,” says Stebbins, all with their powdered CBD. So what does CBD actually do? That is still, in many ways, to be determined. Several studies have validated the efficacy of CBD in treating some forms of epilepsy and schizophrenia, as well as its ability to alleviate joint pain. But those are the not the most common symptoms you see listed on items boasting CBD. Instead, the compound is often pitched as an elixir for stress, insomnia, anxiety, and more. Stebbins describes CBD as a natural alternative to Aspirin, useful for anything from a hangover to arthritic pain. As for the claims of relieving stress and anxiety? But, when examining the latest studies, these claims are yet to be fully borne out. Yet, the lack of verified indications is not the only hurdle facing CBD — the other is regulatory. Though now widely available, CBD is still classified as a Schedule I drug. During a session titled “The (Fuzzy?) Future of Hemp and CBD” held at this year’s Nutrition Business Journal (NBJ) 2018 Summit in California, panelists claimed that as long as CBD is derived from hemp, and not marijuana, you’re in the clear. But a closer look at the current laws clarifies that this isn’t true, depending on in which state you reside. This uncertainty is keeping many businesses on the sidelines….Still, many in the food industry are betting not just on the national legalisation of hemp (which is a part of the pending 2018 Farm Bill), but of marijuana in general…..